Katherine Langrish published an interesting article on the blog Seven Miles of Steel Thistles. She brilliantly suggests, as anyone reading fairy tales knows, that women are not passive victims. "...There’s a widespread notion that fairytales present a very passive picture of women and are dreadful role-models for little girls. This is due to ignorance. 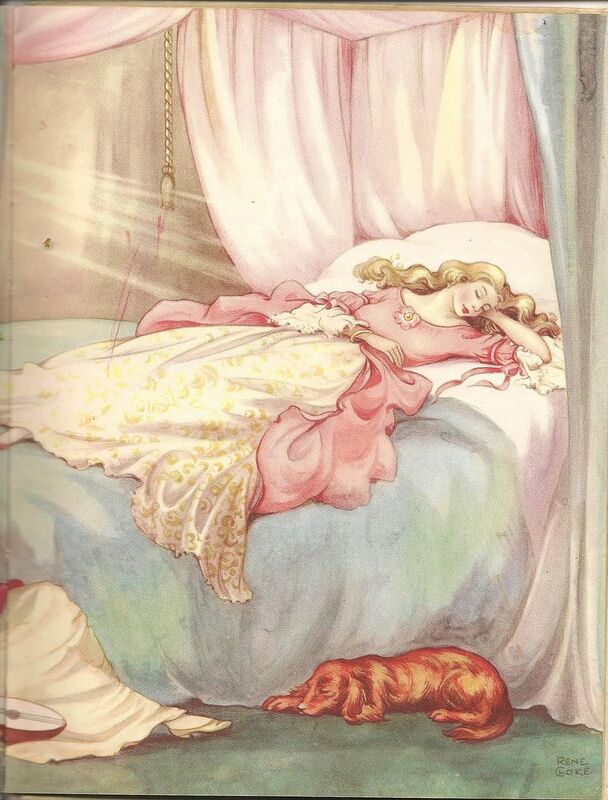 Many people who do not actually read fairytales, or have not read any since childhood, vaguely associate them with a picture of a Barbie-blonde lady wearing a pink silk dress and diamonds, lying on a bed in a tower, awaiting rescue from a prince on a white horse, and ‘love’s first kiss’. Like this illustration by Rene Cloke from ‘My First Book of Fairy Tales’, which I was given as a child..."